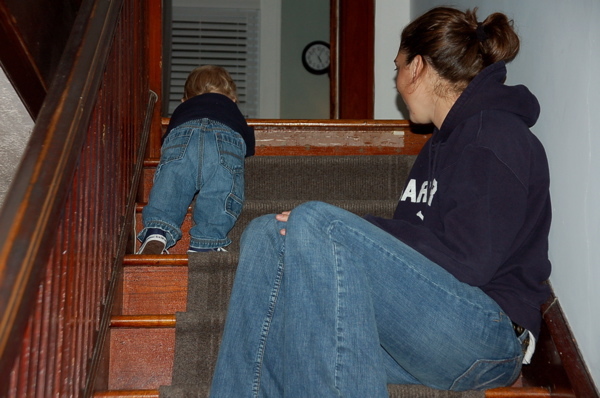 well, yesterday owen climbed the steps for the first time. i heard that while we were away his cousin jackson taught him how, but at that time owen would only go up 2 or 3 steps. he has no problem climbing them all anymore. which brings us now to the next step in parenting... baby gates.